With its stylish touch screen display and remote App control from your smart device, the all new AirTouch 3 is an integrated, all in one control for your air conditioning unit, as well as being a great zone management system. Take air conditioning zoning to the next level with a smart air controller that lets you manage temperatures and airflow around your home, and save energy. 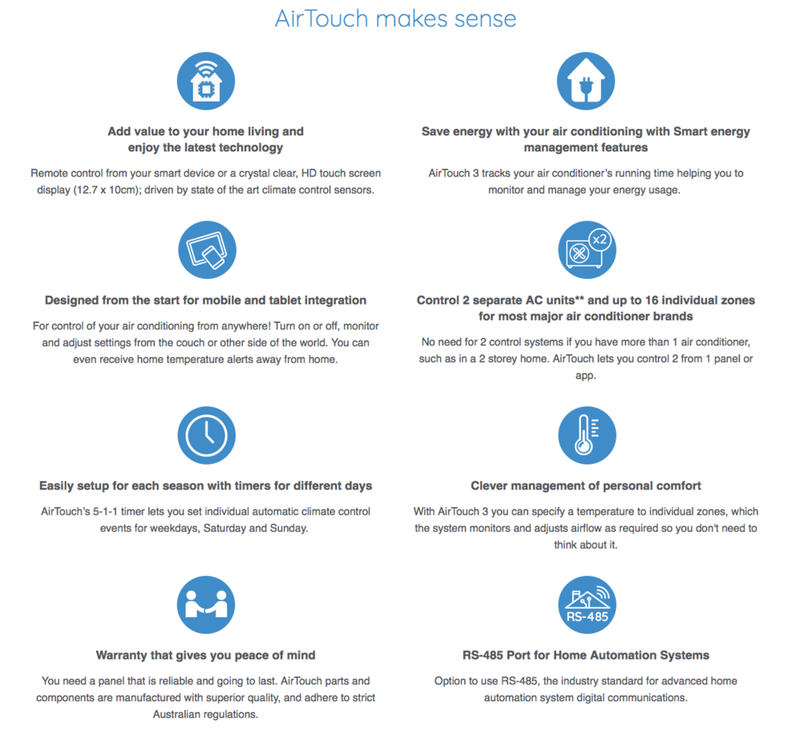 AirTouch will enhance your air conditioner's potential in your home, providing more comfort and energy savings. AirTouch 3 features superior temperature monitoring, a user friendly touch screen interface, and better airflow management than ever before. AirTouch 3 was created to give you control of up to 16 zones from one or two AC units in your home. As you'll only need to heat or cool the rooms you are using, you can experience enhanced comfort, convenience, and energy savings with your air conditioner. For more information on AirTouch 3 and how you can save on your power bills, please click the link below. All images and information mentioned above are copyright of AirTouch. You Need A Lighting Plan! If you're tackling a whole home Reno or new build or even bathroom rennovation, you need to get your lighting plan locked in nice and early!. This will help your electrician know the necessary rough-in of wires and positioning etc before the walls are sheeted, as it may be a little difficult to change positioning after. Ok so you have chosen your light fixtures possibly for your new kitchen or bathroom? 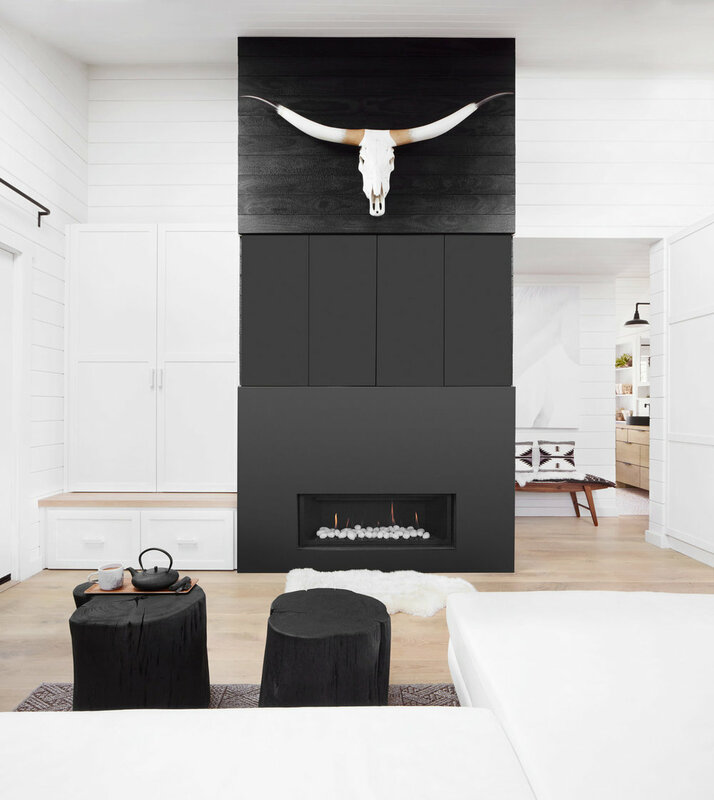 the next thing is having a plan of positioning and height, keeping in mind there may have to be some battens installed in the ceiling cavity to hold the weight of your new pendant or fan. Choosing down lights for your new space! your electrician will supply you with the latest quality LED down lights! all you have to do is choose whether you want a warm white, cool white or daylight? this comes down to personal preference. Dimmers! dont forget to tell your sparky where you may want dimmers like lounge and dining if you prefer areas to have a bit more control of lighting softness. Light switches! location of light switches is another thing you need to plan well! taking into consideration if you want to be able to turn them on or off from multiple locations. Power points are also another careful thing to be thought out!, we've all been in a situation that the cord doesn't quiet reach the nearest power point or there wasn't a power point handy for the vacuum! sorting the layout of your power points will ensure you have optimised the space efficiently. Switch plates and power point plates choosing styles to suit your new build or renovation can be easy! some are just happy with the standard! others like slimline and some like a more fancy option of glass with push buttons. Keeping in mind the prices of standard to style options can range from $20-$150. If Stylish switches and power points aren't in your budget! you could opt to have these just on the kitchen bench or bathroom. Equip your electrician with all the specs he needs to get your lighting and power just right!